I stamped directly on to the paper using Versafine Clair ink and my stamping tool. 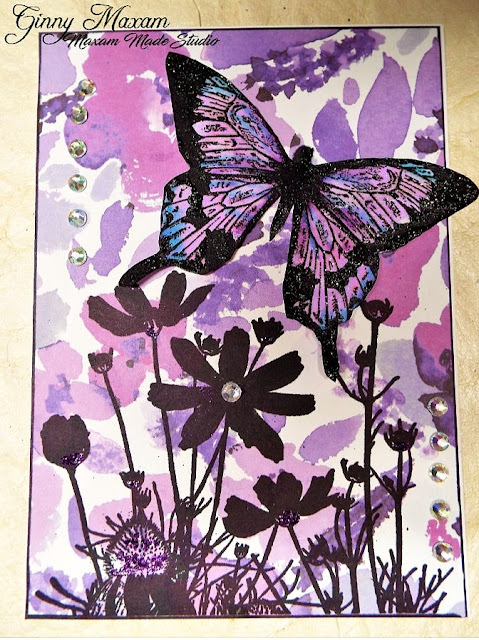 The butterfly is stamped colored with alcohol markers and then fussy cut and added onto the card. A little bling and glitter and I have an all occasion card! What a pretty card! I love the purples mixed with black!